Do you have a green thumb? 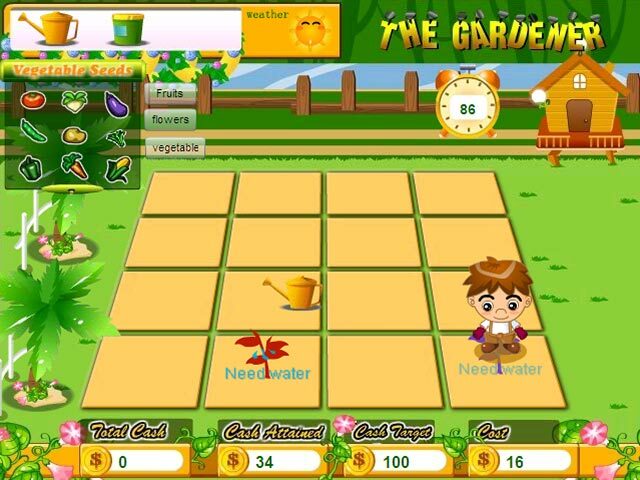 Be The Gardener and harvest vegetables, fruits, and flowers in this online Time Management game.Grow a garden and collect your harvest.Do you have a green thumb? 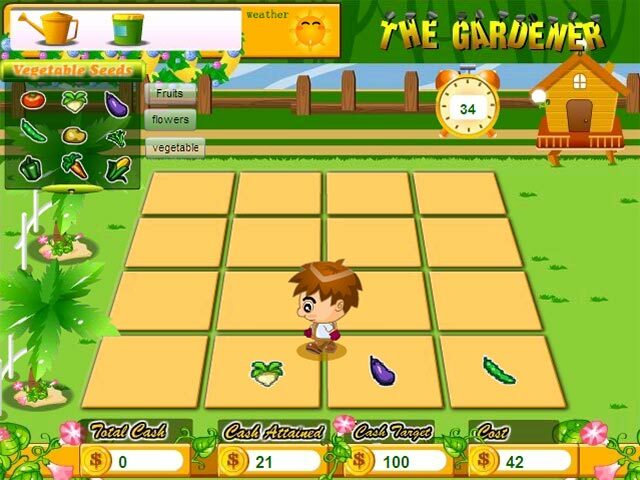 Be The Gardener and harvest vegetables, fruits, and flowers in this online Time Management game. Click on the seed menu to choose from 21 different plants you can grow. 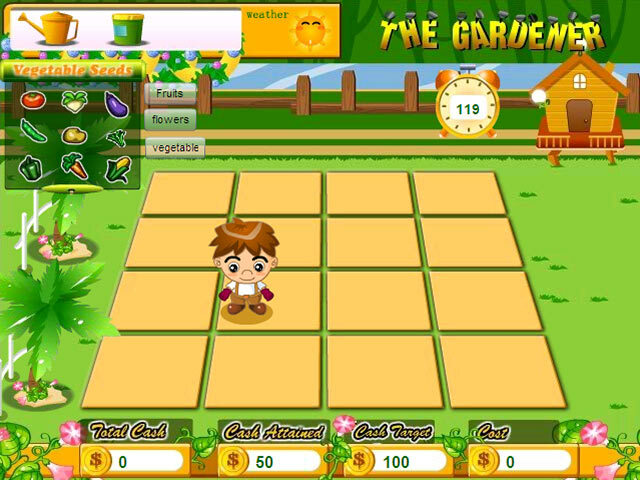 Click in the garden to plant your seeds. Keep your plants healthy with proper watering and pesticide use. 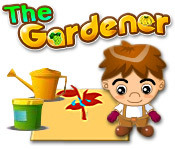 Watch the weather and the timer if you want to be the best gardener!